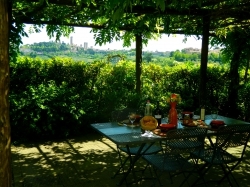 Raccianello: apartments near San Gimignano in Tuscany for your holiday in Chianti. 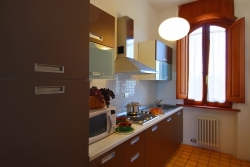 The seven apartaments of the agriturismo are recently renovated with knowledge and refinement. In the main house there are 3 apartaments at the gound floor (Edera, Mimosa and Girasole, each one with its own outdoor pergola; two apartaments at the first floor (Camelia and Viola) , both of them with an exclusive terrace over the Tuscan countryside. Instead, the two bigger apartaments, one near the restaurant (Iris) and the other close to the pool (Glicine), have private entrance and next outdoor space. Here, the detailed description of each apartaments. Viola: apartment near Siena, located on the first floor of the main villa and consists of a double bedroom, living / dining room, kitchen, bathroom with shower and a balcony from which to enjoy the view of the surrounding countryside. 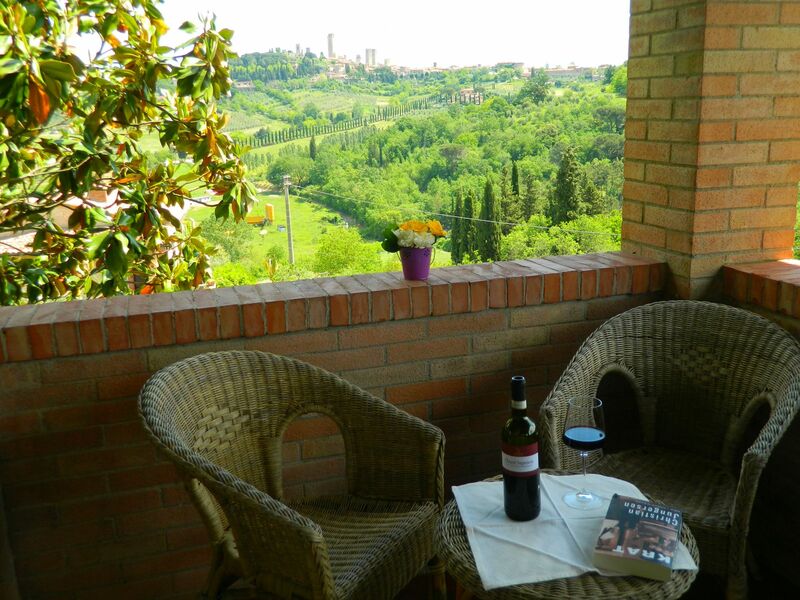 Girasole: apartment in San Gimignano with independent entrance. It consists of a double bedroom, a bathroom with shower and a living room kitchen which has access to the outside through a large porch and opens it into a veranda. Camelia: apartment in chianti, on the first floor of the villa, consisting of a large living room, a kitchen / dining room, a double bedroom with balcony overlooking the countryside, bathroom and a loggia overlooking the towers of San Gimignano. Glicine: apartment in San Gimignano in Chianti, obtained from a finely restored rustic annex. It is the largest and consists of two double bedrooms, one single room, bathroom with shower and a kitchen / living room. Mimosa: apartment in the Tuscan countryside, has independent entrance and consists of a double bedroom, a bathroom with shower and a kitchen / living room. There is a garden and a pergola for exclusive use. Iris: apartment for holidays in Tuscany is obtained from an elegantly restored barn. With private entrance and private terrace consists of a double bedroom and a double, bathroom with shower, living room and kitchen / dining room. Edera: apartment in chianti located on the ground floor of the main house, it comprises a double bedroom with access to the outside bathroom with shower, a kitchen and dining room. Outside there is an area equipped with pergola for exclusive use.